Sticky, sweet and covered in sugar... there truly is nothing like the taste of a classic Turkish delight. 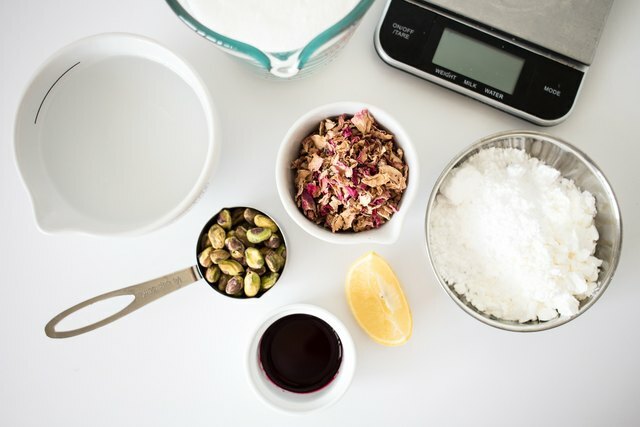 You can learn how to easily make the addictive rose- and pistachio-flavored confectionery by following these simple step-by-step instructions. Based on the traditional method, which uses cornstarch rather than gelatin to thicken, these Turkish delights have a chewy, pillowed texture and sweetly delicious taste. They look gorgeous, taste wonderful and are almost too simple to create! 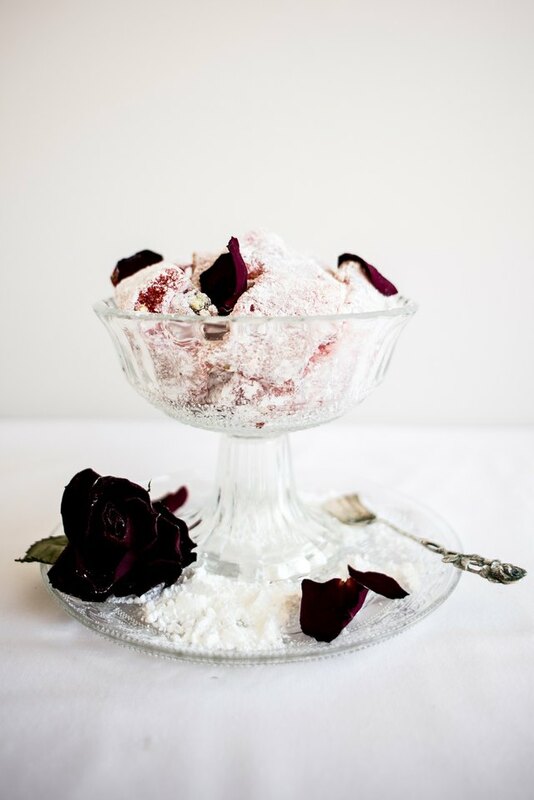 Start this recipe the day before you plan on serving the Turkish delight. Begin by collecting and weighing out all ingredients. 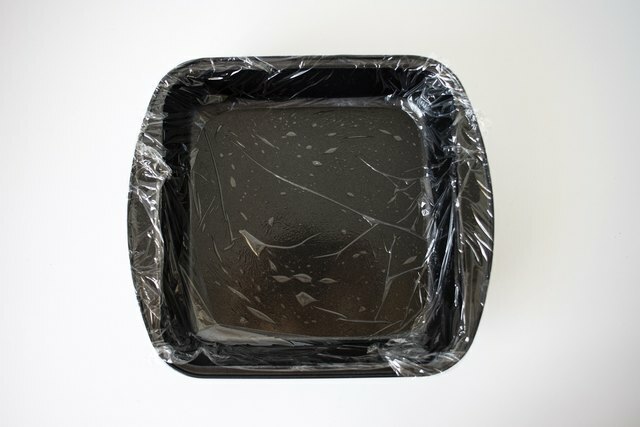 Grease and line a 7-inch / 18-centimeter square baking tin with plastic wrap. Lightly grease the plastic wrap, and set aside. 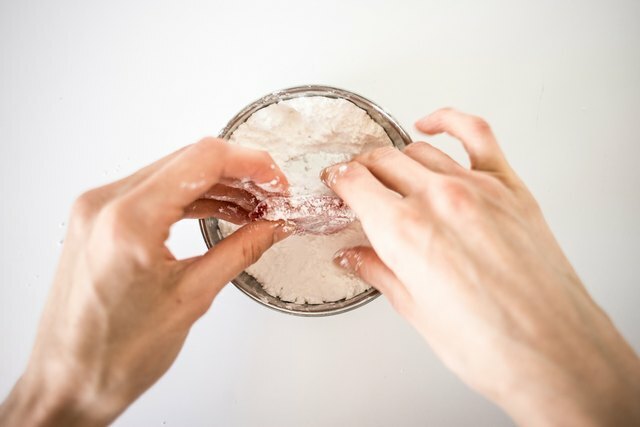 In a small bowl, combine the powdered sugar and 1 ounce / 25 grams of the cornstarch. Lightly sift a small amount into the baking tin, and shake it around to spread and evenly coat. Tip any excess back into the small bowl. In a medium saucepan set over medium heat, heat 7.2 fluid ounces / 200 milliliters of the water, the granulated sugar and the lemon juice. 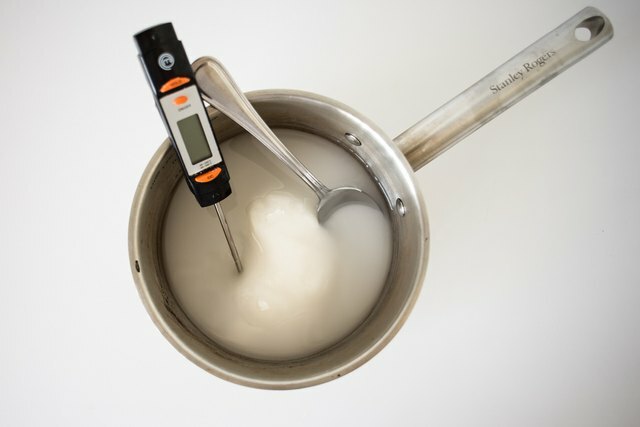 Stir until the sugar has dissolved, and then bring the mixture to a light rolling boil for 3 to 4 minutes or until the syrup reaches 250 F / 120 C on a digital thermometer. 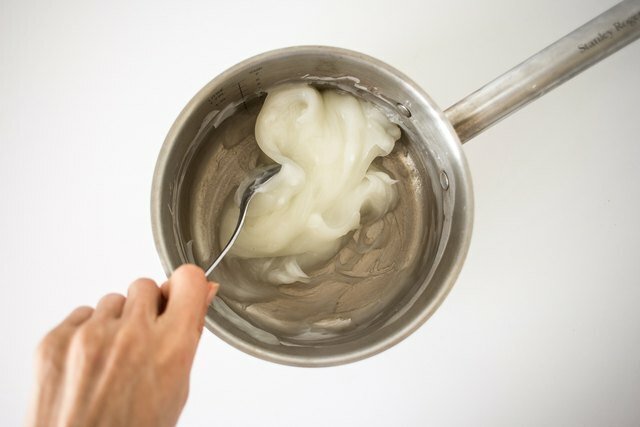 Meanwhile, place the remaining 9.6 fluid ounces / 270 milliliters of water into a separate large saucepan, along with the remaining 2 ounces / 60 grams of cornstarch and cream of tartar. Stir to ensure that there are no lumps. Bring this mixture to a boil over medium-low heat, and stir it until it becomes thick, smooth and paste-like. 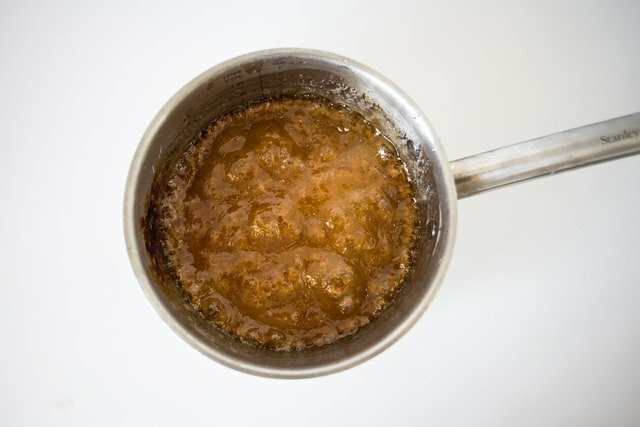 Once the sugar syrup has reached boil point and is at temperature, remove it from the heat. 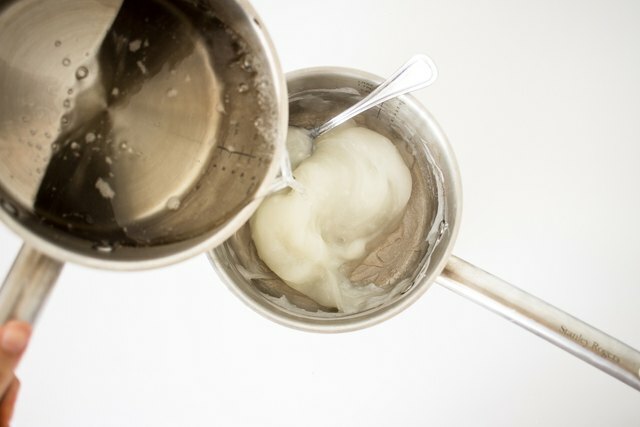 In a steady stream, carefully pour the sugar syrup into the pan with the thickening paste. Stir well over heat to combine. Originally, the two mixtures will split when combined. When brought to a boil and then simmered, they will immerse. Bring this combined mixture to a light boil, and then reduce the heat to medium-low and simmer it for 30 to 35 minutes, stirring occasionally. As the mixture begins to thicken, stir more often to avoid it catching the bottom of the pan. When it's ready, the mixture will be light amber in color. An easy way to judge when the mixture is ready is if it is thick, glossy and begins to pull away from the sides of the pan when gently stirred. 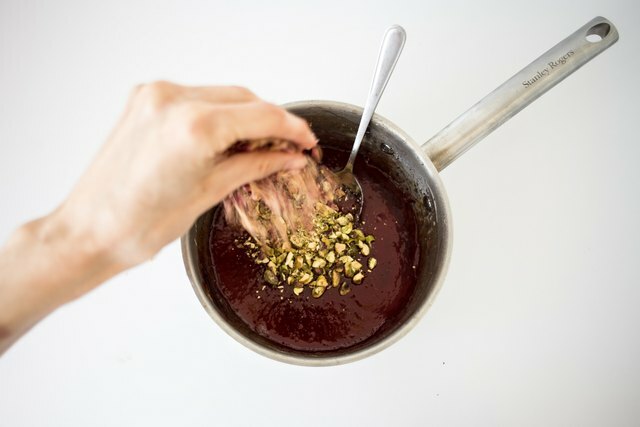 Stir in the rose water and pink food coloring, and then beat in the pistachios and rose petals (if using). Simmer for 2 to 3 minutes to combine. Pour the mixture into the prepared baking tin, and level the top. 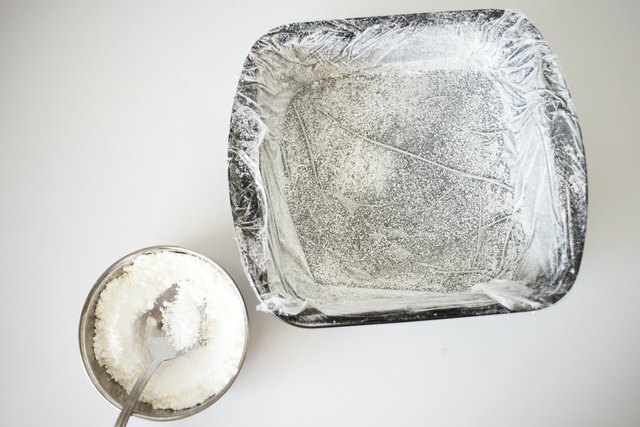 Cover the tin with plastic wrap, and let it cool at room temperature for 6 to 8 hours, or preferably overnight. 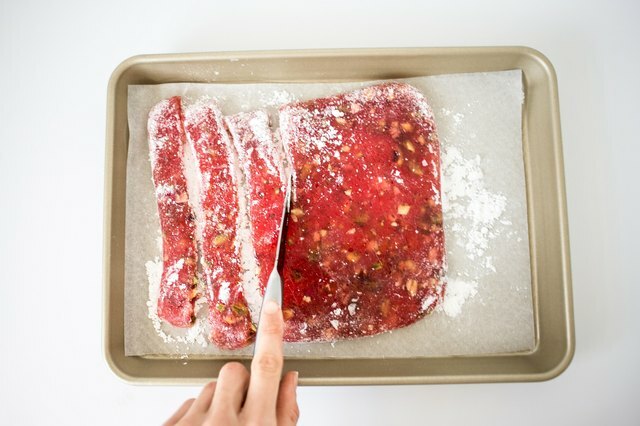 Once set, peel off the plastic wrap and turn the Turkish delight carefully out onto a baking tray lined with parchment paper and dusted with about a tablespoon of the powdered sugar and cornstarch mixture. 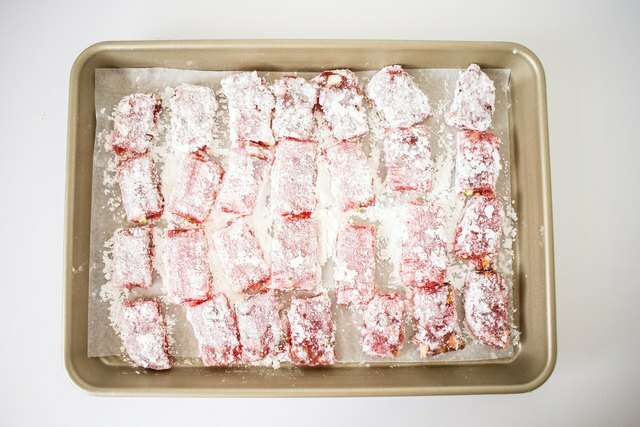 With a sharp knife lightly dipped in the powdered sugar mixture, slice the Turkish delight into even strips. Flip over these slices, and then cut them into even squares. Liberally coat the squares in the remaining powdered sugar and cornstarch mixture, and then set them on a baking tray to dry out slightly before serving. 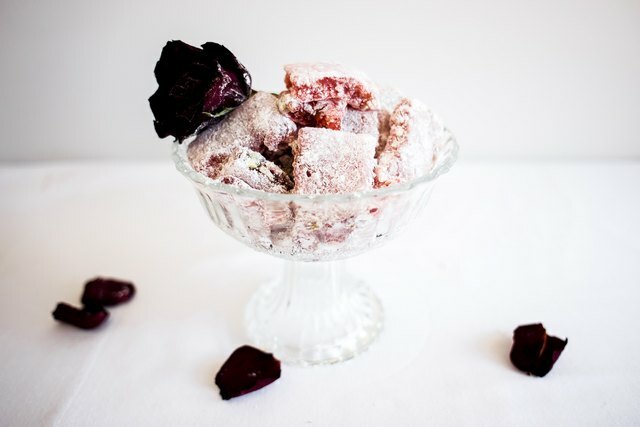 Store your Turkish delight at room temperature in an airtight container for up to two weeks.